When working toward the profitability goals for your pharmacy, you’ll want to take full advantage of your data. As time allows, review your customer and product information for specific opportunities to elevate pharmacy profits. What Drugs Are You Refilling Regularly? Reviewing your customer data can offer insight into the types of drugs you’re refilling regularly. It also allows you to determine how many of your customers are refilling prescriptions that treat chronic conditions. This information can help you decide the inventory you will keep on hand, which is used to treat these conditions. Once you have confirmed the drugs you are moving quickly and regularly, you can weigh the cost-savings of placing larger orders for those medications. Ordering certain drugs in larger amounts, when it makes financial sense, means you will save time and effort on re-ordering too. How Many Generics Are You Dispensing? When looking at your data, you may want to compare the number of brands you are filling to the number of generics. The generic dispensing ratio (GDR) is the number of generics filled within a certain time period divided by the total number of prescriptions filled. According to the NCPA, generics account for about 80 percent of the drugs dispensed by independent community pharmacies. 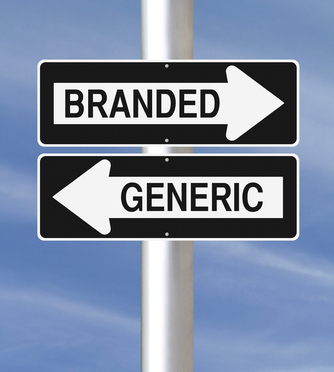 The examination of your generics should continue with comparisons between brands. When there is a choice between generic products, it can be beneficial to identify the ones with higher profits for your pharmacy. Are You Managing Your Overhead? The Washington state study determined, based on its research, that the cost of dispensing was a pressure point for profitability. The study overview noted that improving pharmacy financial viability, without drug price increases, should include overhead cost reductions in conjunction with sales diversification into non-drug products. That means periodic reviews of your operational costs—from store maintenance to supplies—may be in order as you strive to become more profitable. At Real Value Rx, our knowledgeable account managers are here to assist you as you grow your business and work towards greater profitability.